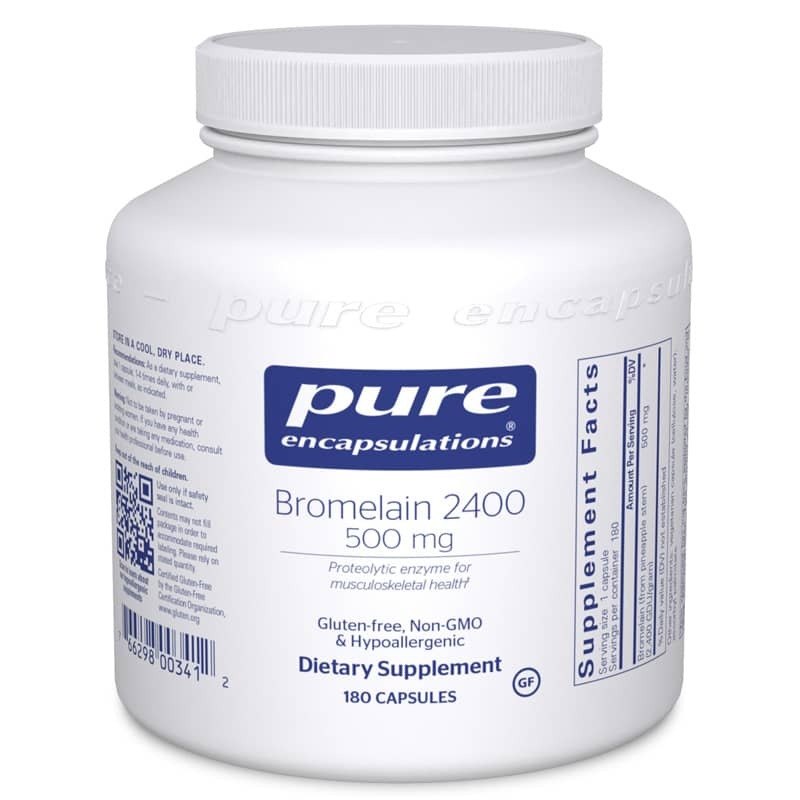 *Bromelain is a proteolytic enzyme from the stem of the pineapple plant. Taken with food, bromelain aids in the healthy functioning of the digestive system. Taken between meals, bromelain maintains healthy kinin and fibrin production, supporting healthy musculoskeletal function. Adults: As a dietary supplement, take 1 to 4 capsules daily, in divided doses, with or between meals, as indicated.